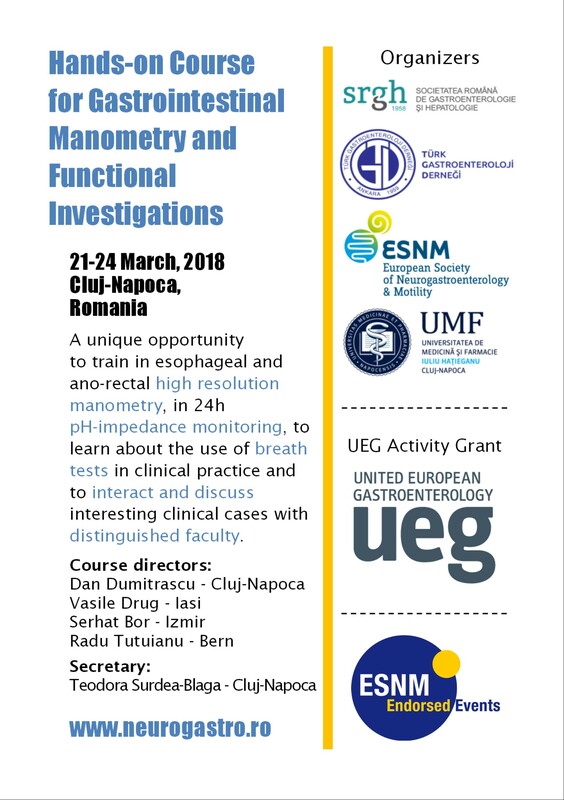 This course addresses young physicians (gastroenterologists, surgeons specialized in surgery of the esophagus or proctologists, and scientists who are interested in motility disorders) born January 1st, 1977 or later. We encourage the participation of physicians who currently work in a center which has or will have motility and intraesophageal pH monitoring equipment. 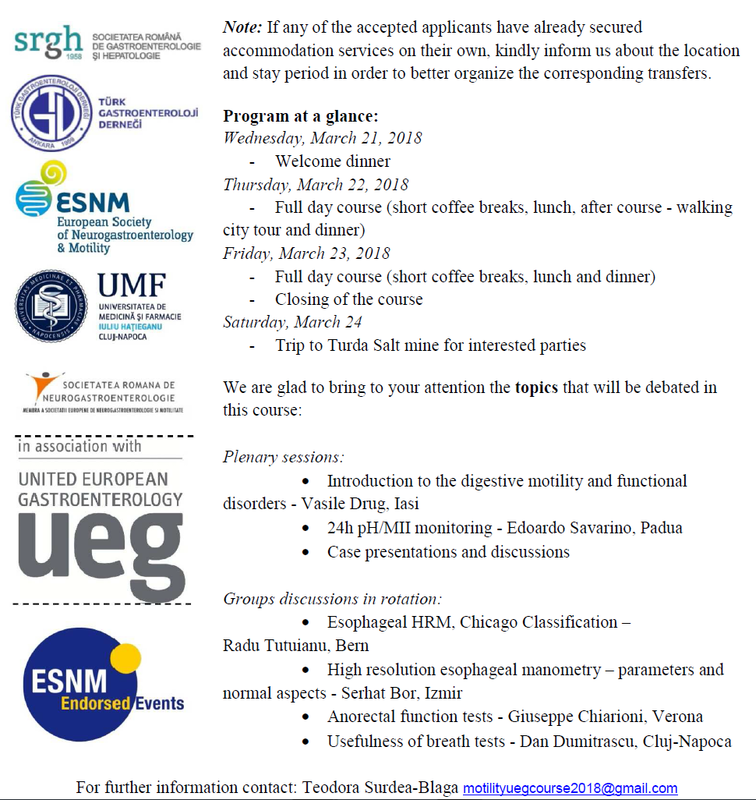 During this course, participants will have the opportunity to freely address questions to and to discuss difficult cases with renowned experts in the field of motility. The fee for the course is 100 Euros. We offer accommodation and meals. We do not cover travel expenses. The application process and participants selection for this course has been completed. All participants, whose application has been accepted will soon be contacted with further information regarding their accommodation during the course and further steps. Note: If any of the accepted applicants have already secured accommodation services on their own, kindly inform us about the location and stay period in order to better organize the corresponding transfers.